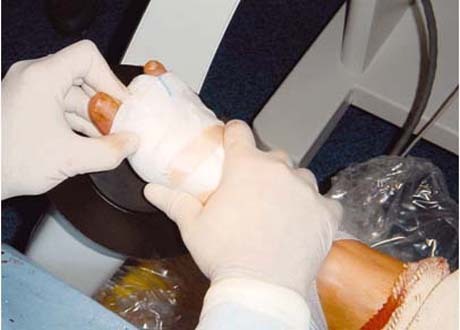 Spacer used after removal of bandage. Noted size of skin cuts. 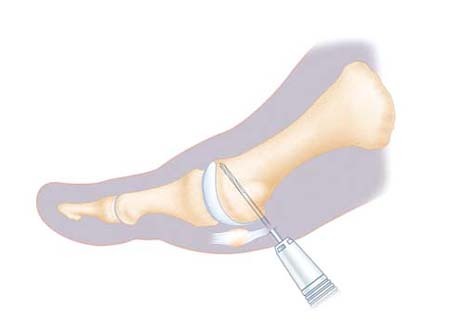 What is Minimally Invasive surgery for Bunions? 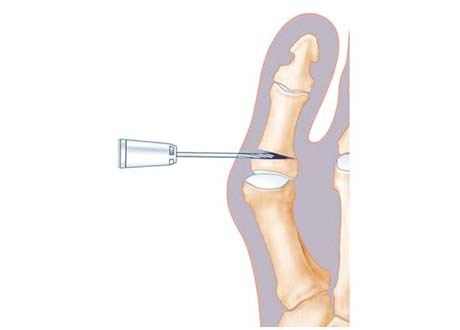 This refers to �keyhole surgery� for bunions. The surgery is done using small holes in the skin and very small burrs under X-ray guidance. 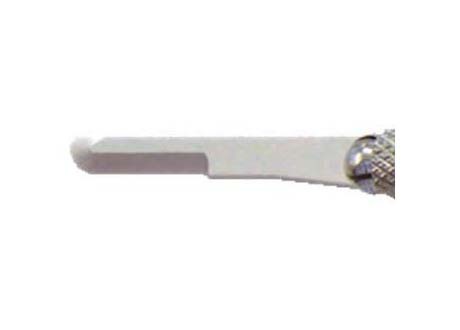 Burrs are used both to remove the bunion and cut the bones that need to be realigned. Are there any advantages of MIS over regular open surgery for Bunions? The main advantage is cosmetic as the skin cuts are much smaller. In my personal experience I feel that the swelling and joint stiffness is slightly less as there is less soft tissue exposed and cut. There are not many studies comparing traditional open surgery and key hole surgery to look at advantages and disadvantages on a scientific basis. Anyone wishing to undergo MIS surgery should read the patient information section of NICE (National Institute of Clinical Excellence). The link is provided below and the information is available as �Understanding NICE guidance�. Why is MIS for Bunions not widespread in the UK? The surgery is currently in a stage of evolution. 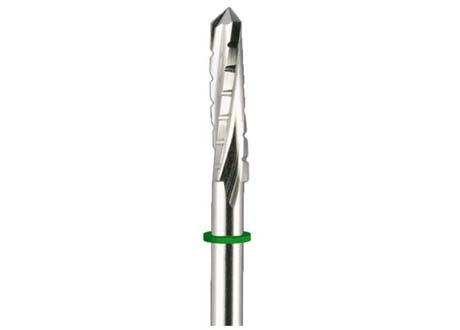 The previous methods did not use the special �low speed, high torque� burrs or the special instruments that have been developed only over the last couple of years. Therefore, when surgeons from France and Italy introduced it, surgeons in the UK and USA did not immediately accept it. 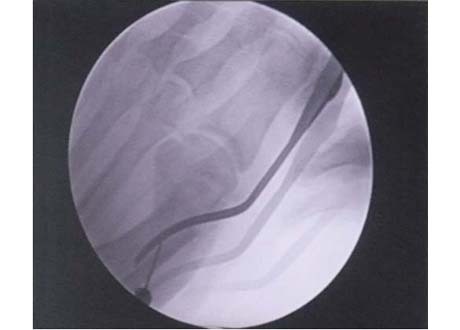 Apart from lack of fine instruments, there was a higher complication rate with the initial techniques used. However most of the issues have been addressed with the latest techniques and in my opinion it is a safe procedure, as long as the surgeon is appropriately trained and the patient selection is appropriate. Surgeons performing it are increasing in the UK. Is recovery faster with MIS surgery? 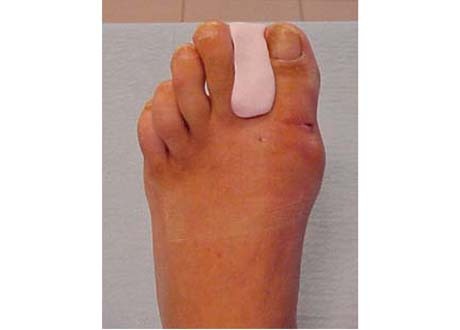 In cases where there is a bunion associated with only a bent bone in the toe (hallux valgus interphalangeus) then recovery by MIS is faster as the ball of the big toe does not need to be cut. 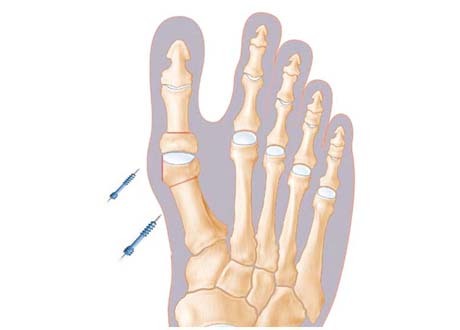 The bunion is removed and a cut is made only in the toe bone followed by fixation with a screw. 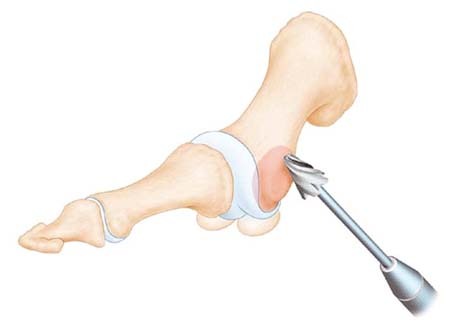 (See figure for Akin osteotomy). Can MIS treat all Bunions? I currently still use open surgical methods for treating bunions with significant slippage of bones (subluxation) and those associated with early arthritis. 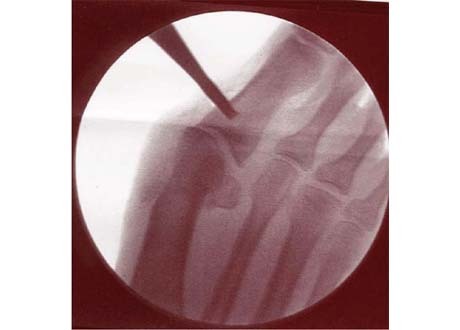 These patients require shortening of bones to help realign the joint and relax the ligaments and tendons. This is more effective when open surgery is used.